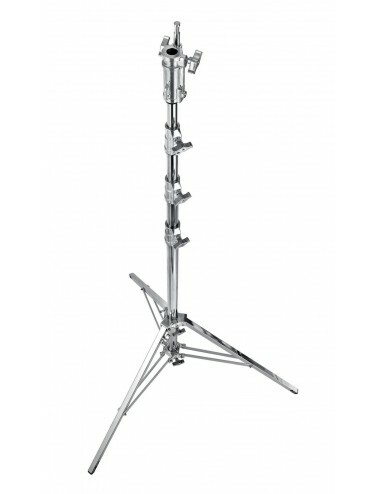 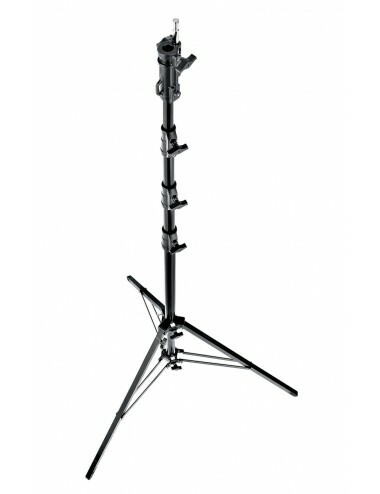 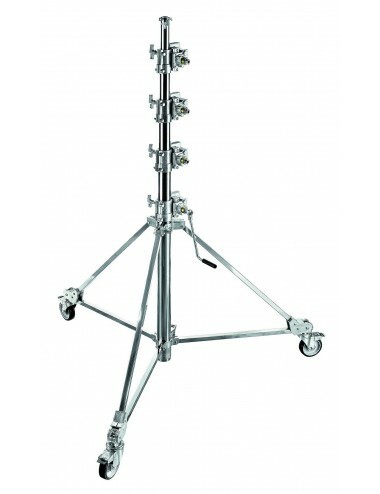 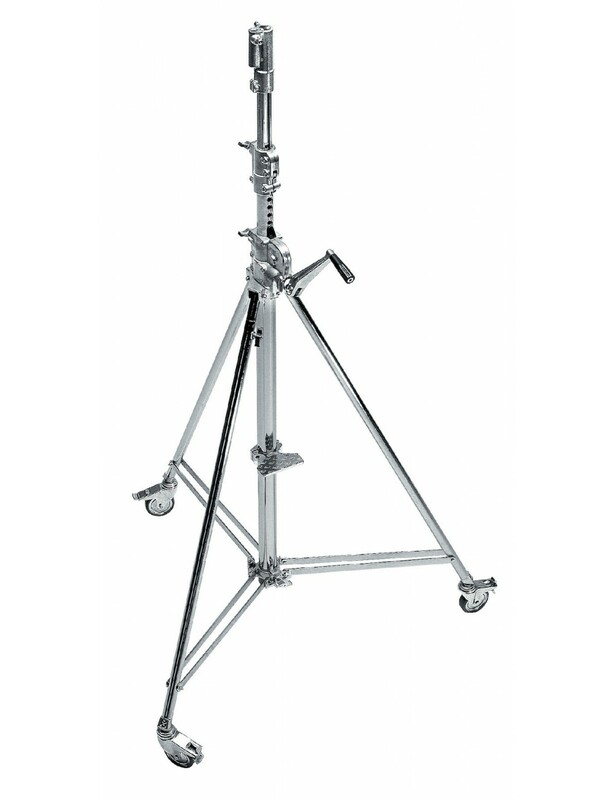 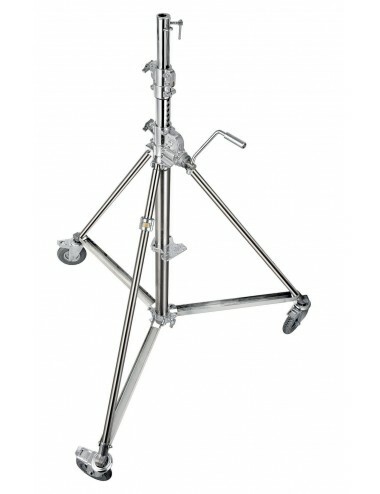 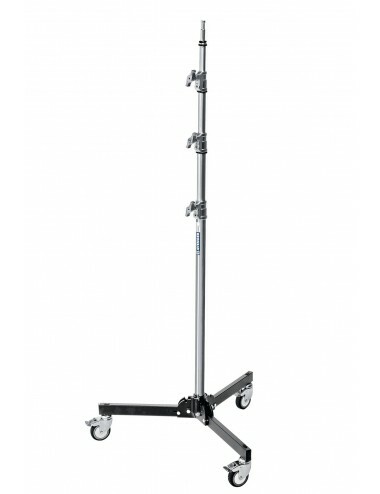 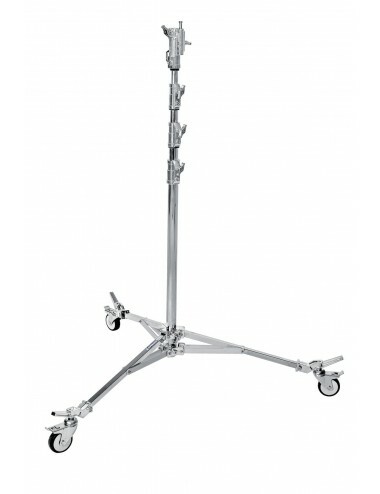 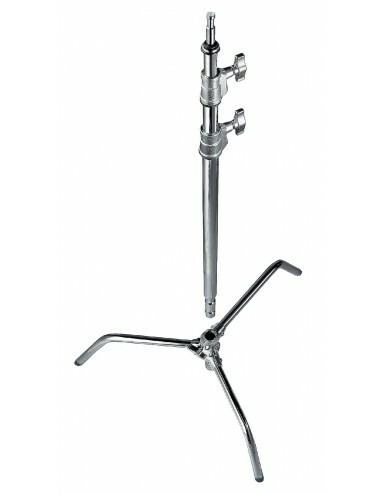 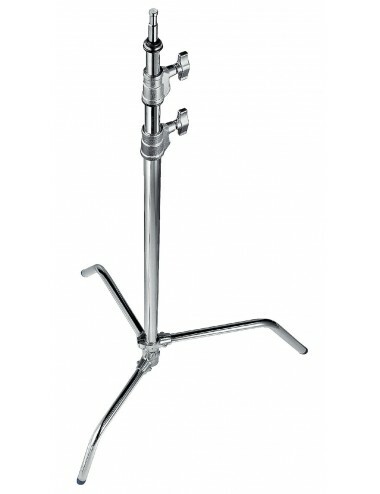 This heavy lifting stand in chrome steel features 3 sections, and 2 risers. 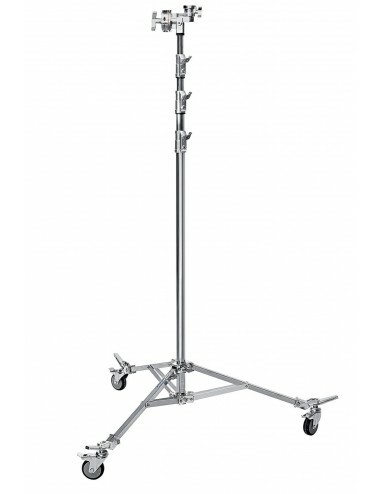 It is provided with a wind up handle and has 1 levelling leg, and braked wheels. 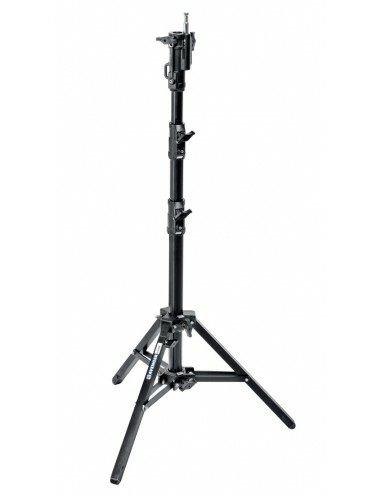 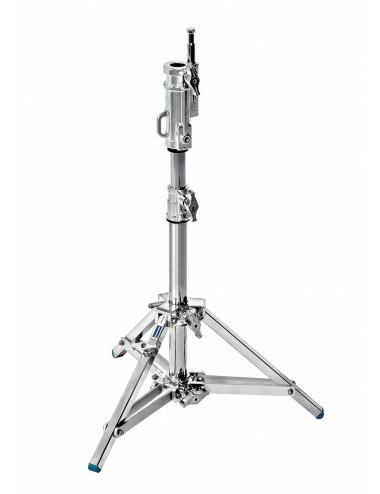 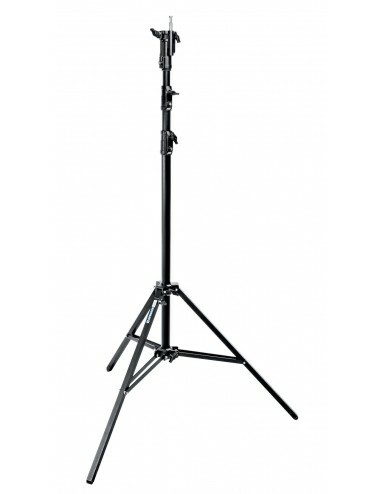 With a maximum payload of 30kg, it can also raise up to 3.70m. 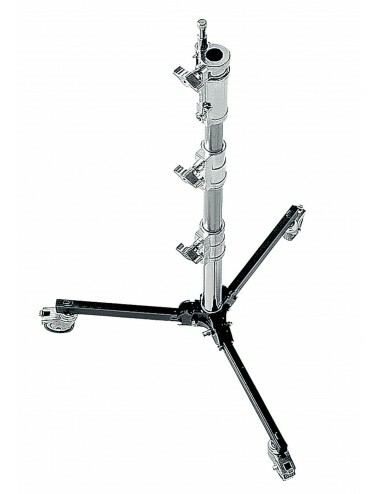 It also features 1 step on the column for better stability for the operator.